Next City isn’t just a news website, we are a nonprofit organization with a mission to inspire social, economic and environmental change in cities. Part of how we do that is by connecting our readers to urban changemakers and holding an annual Vanguard conference bringing together 40 top young urban leaders. Megan Canning is a member of the 2010 Vanguard class. What was your first job? Well if we’re going way back, then my very first job was babysitting. When I was 15, I decided I wanted to go to Northern Ireland to visit a friend, so I spent a year babysitting like crazy, to fund my way there. But my first proper (aka post-college) job was teaching art to middle and high-school students in Ohio. What is your favorite city and why? Oh wow, this is a hard one. I do love New York City, my home for over fifteen years now, but Prague, at least the Prague of 1996 when I spent a semester there, and Rome are my top two favorite cities. I love that mash-up of contemporary life happening in a place so richly layered with history and culture. Prague was settled circa 885 and Rome in 753 BC, compared to 1609 for New York City. What do you do when you are not working? Spend time with my husband and my friends, make art, explore the city, blog, read, knit, explore, cook, go to museums, ride my bike, hike. What do you like most about your current job? I love the range of projects we work on and the multi-disciplinary nature of our work. In the past ten years, I’ve had the opportunity to work with such an incredible group of people on a wide range of public space projects – everything from taxis and green infrastructure to fashion manufacturing and urban farming. I love that I’m always learning, and that my curious nature is actually a necessary skill at the Design Trust! The Design Trust worked with Nissan North America, Inc. to design the Taxi of Tomorrow, pictured here. Photo courtesy of Nissan. What is the coolest project you worked on? Our taxi project, hands-down. 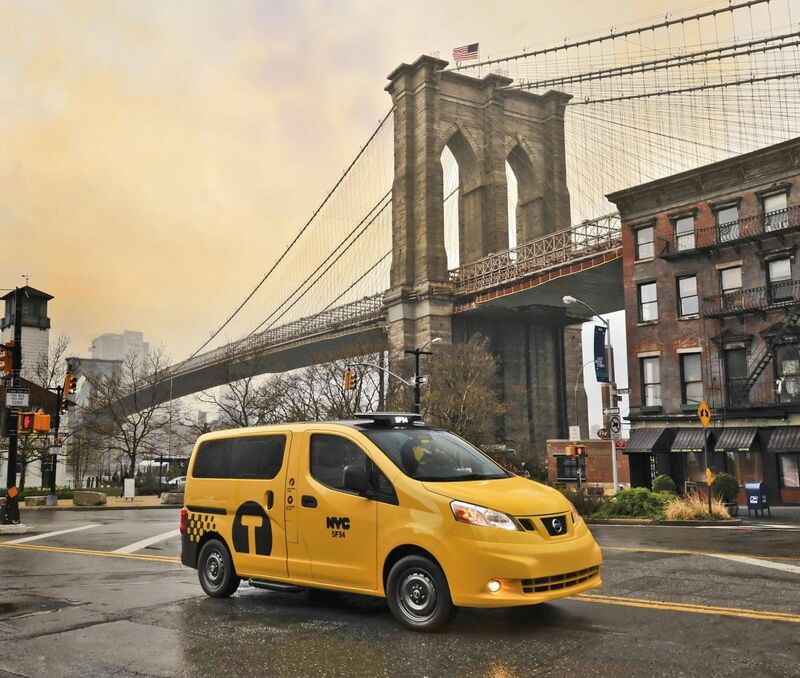 When I joined the Design Trust in 2005, we were just beginning the first phase of our taxi work (Designing the Taxi) and I never anticipated that almost six years later I would be advising Nissan North America on the design of NYC’s new taxicab, the Taxi of Tomorrow. I still get a thrill every time I see a Taxi of Tomorrow on the streets of New York. It reminds me that the impossible is possible, that change can happen on a large-scale, but it takes a lot of time, a lot of patience and persistence — and a lot of champions. What do you look for when hiring someone? Intellectual curiosity, passion, drive, enthusiasm, optimism, initiative, leadership, a sense of ownership and accountability. What career advice would you give an emerging urban leader? Stay with a job or a project longer than you might initially expect or want to. Change takes so much longer to happen than any of us ever anticipate, and if you bounce around from job to job, you might not get to see something all the way through to the end. If I had left Design Trust after five years, I would’ve missed the opportunity of a lifetime to help bring the Taxi of Tomorrow to life.